When it comes to making rich, flavorful recipes, it all starts with the ingredients that you use. If the ingredients you are using are fresh, then the flavors in your meal will be too. If on the other hand, they have become stale, they will be less flavorful or may even carry unwanted flavors into the mix. 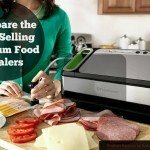 One great way to ensure that you are using the most flavorful ingredients in your recipes is to use a vacuum food sealer! A vacuum food sealer allows you to preserve the freshness of your ingredients for months without losing a hint of flavor. Vacuum sealing is a great way to preserve fresh herbs. Consider for example preserving herbs. Most people either choose to hang them to dry or freeze them. 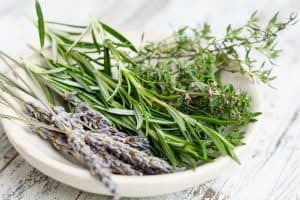 But a vacuum sealer is the best option for keeping your herbs dry since it will lock out all moisture for an extended period of time. This will result in the freshest seasoning for your dishes! Another great benefit of using a vacuum sealer for food preservation is that it eliminates freezer burn. Freezer burn commonly happens when the food isn’t fully wrapped. The food gets damaged by oxidation and dehydration, and you find yourself with something less than palatable as a result. You can eat it, but the flavor and texture are usually ruined. 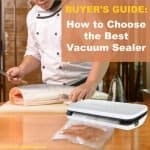 Vacuum sealing your food can prevent this problem from occurring! When your food is vacuum-sealed, oxygen cannot reach it, so there will be no damage from oxidization. 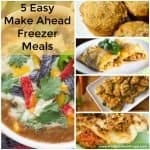 This stops freezer burn in its tracks, ensuring your food retains its original flavor and texture. Not only can you use a vacuum sealer to preserve the flavor of your food, but also to infuse flavor into your food, to begin with! If you enjoy cooking meat dishes, you know that marinating is an essential step for tenderizing the meat and for flavoring it. Usually, this process takes quite a bit of time and energy. 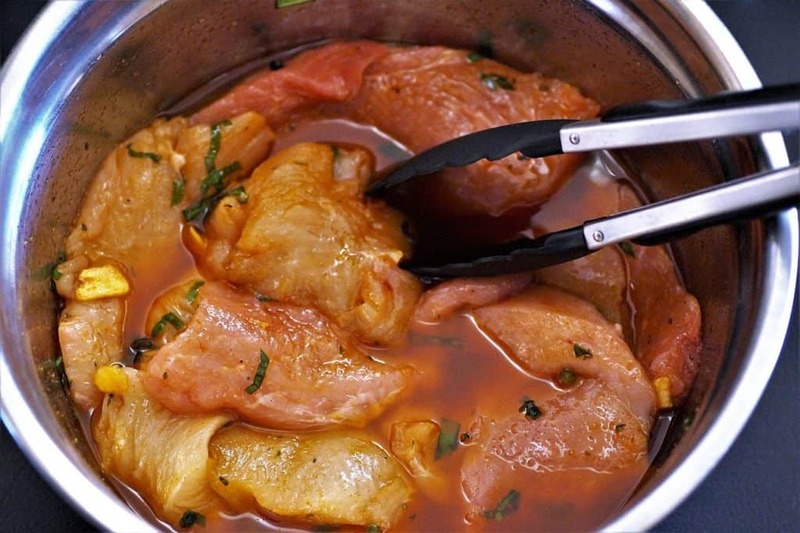 Often meat needs to marinate for 12 hours or more to soak up all the flavor from the sauce. Sometimes this is enough to stop you from making a favorite dish; it just seems like too much time and effort. A great way to kick up the flavor is to freeze your marinaded meats. 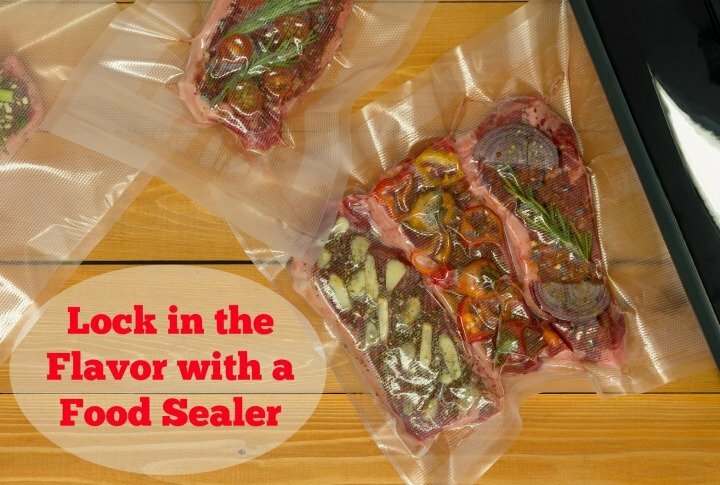 With a vacuum sealer, you can carry out the marinating process much more efficiently. The surface pores of the food open up right away when you seal in the meat with the sauce. This means that the meat soaks up the sauce much more efficiently. Instead of waiting for 12 or more hours, you can wait just an hour or two—sometimes even less than that. Just think of all the marinade recipes you can make ahead for your family to bring out when you are short on time. When your meat is done marinating, it will taste much more flavorful than it would if you had done it the old-fashioned way and taken all day to do it! So you end up saving time and you end up with a tastier dish. As you can see, there are many ways in which a vacuum sealer can help you to prepare more flavorful cuisine than you ever have before. Vacuum sealers aren’t just great for preserving food—they are great for making it too! 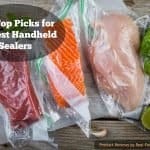 For more information on choosing a food sealer for your family, read the full buyer’s guide here => https://www.realfoodrealfrugal.com/vacuum-sealer-buyers-guide/.